The Kenney- Blackmon String Band is more than its name, and even more the sum of its powerful parts. It is a family affair, a team of four consummate artists and music lovers mining the depths of musical tradition through their song-craft and uncovering rare works for historical preservation. 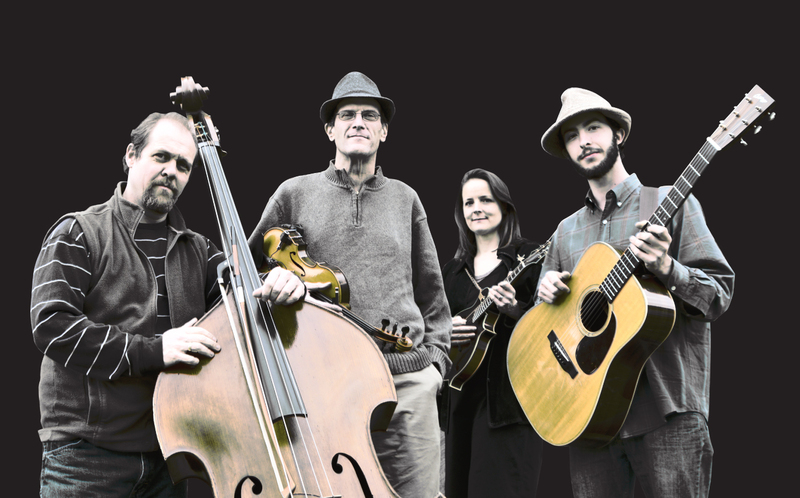 Their debut album, The Singing Tree, is traditional folk and bluegrass music at its finest. Presenting old and rare, unearthed folk songs with dynamic arrangements alongside compelling new tunes and a few standards, the record stands out as an achievement in American folk and roots music. The Singing Tree is a pleasurable work of heightened musical expression, a reminder of the power of music to serve as a bridge and connection between peoples and time. This is not your common old time-y, acoustic band’s work. Hardly newcomers to the Georgia or national music scenes, The Kenney-Blackmon String Band features some of this region’s top old-time and folk players. A staple and giant in bluegrass music, acclaimed fiddler David Blackmon has toured and recorded with country legend Jerry Reed, was a founding member of Blueground Undergrass, and has been seen with the likes of Sam Bush, Jerry Douglas, and Athens’ Widespread Panic. Noel Blackmon, a well regarded multi-instrumentalist (Curley Maple, Calliope Fair, Klezmer Local 42) as well as purveyor and interpreter of rare folk songs from the Celtic Isles and the Appalachian Mountains, brings overlooked, timeless songs to the mix. North Georgia’s Jason Kenney (Corey Smith, Dappled Grays, HomeGrown Revival) offers compelling and uplifting original songs, a quadruple threat on guitar, mandolin, banjo, and vocals. Finally, the ace of the double bass, Chris Enghauser (Randall Bramblett, Jeff Coffin, Futureman’s Roy-El Phi-Harmonics Orchestra) provides his prodigious talents filling out the material with subtle, yet crucial and noteworthy performances. 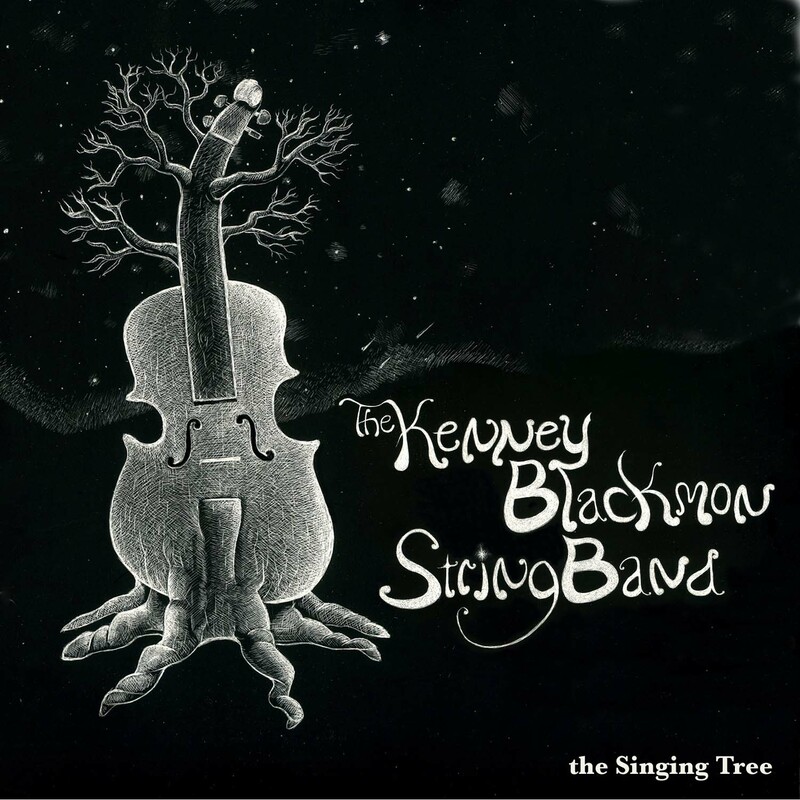 Veterans of many bluegrass workshops and festivals, The Kenney-Blackmon String Band seems to have been a long-awaited, destined project. David Blackmon called Kenney four years ago in hopes of forming a band, but due to family obligations and other projects at the time Kenney could not commit. Later, though, Kenney recruited Blackmon to play fiddle as part of his band on a tour opening for acclaimed folk singer/songwriter Jonathan Byrd. After one week on the road, Jason, David, and Noel decided to form a group. Coincidentally, producer and guitarist John Keane was also in the makeshift band. Meanwhile, the Blackmons and Enghauser comprised three quarters of Athens’ traditional fiddle-driven string band, Curley Maple, and the Blackmons called on the trusty bassist to round out the new project. The outfit began working together in the fall 2011. The Singing Tree was recorded, mixed, and mastered by John Keane (R.E.M., Cowboy Junkies, Uncle Tupelo, Indigo Girls, Warren Zevon) at his John Keane Studios in Athens, Georgia, in March 2012. Recorded live, The Singing Tree showcases each band member’s talents as players, vocalists, writers, and arrangers. Despite the complexity of the parts and arrangements, there is no flashiness on show here- each song presents just the right touches of each instrument, all in service of the song. One can sense even a youthful exuberance on The Singing Tree, a reflection of the band’s felt joy in performing this music of hope, beauty, and longing. There’s a purity on hand as well. Impressively, the band formed only a few months prior to the sessions. The highlights are plentiful and remarkable. Having spent years culling lost songs from field recording sheet music and books, Noel brings to life a few gems from another age. “Sandstone Girl” is believed to be the first modern recording of this song. The song likely originated circa 1810, and was collected by a Mary and Nigel Hudleston from an unknown singer’s recording in Lythe, Whitby, UK. “Nelly Gray” was written by a white man named Benjamin Hanby in 1856. The song tells the story of a Kentucky slave who has lost the love of his life to traders in Georgia. Noel encountered this song in a book as well, changing the chords of the chorus and the melody. The resulting piece is a gorgeous new standard for the traditional canon. The catchy “Jalisco”, one of the session’s one take tracks, is a ‘time jumper’ of more recent years. Started some years ago by Noel as she departed her home of four years, Flagstaff, AZ, for her new life in Georgia, it was completed only within the last year. Enghauser calls the memorable “Jalisco” the band’s “sleeper hit”. Jason Kenney’s contributions are sweet melodic songs straight from the heart. Standout tracks “I’ll Follow You” and “Long Way From God” exude a passion deeply felt. A prolific writer and former nationally touring guitarist with Corey Smith, these are recently written numbers which pull the listener into sadness and back out again. Bright even amidst the darkness, Kenney offers a genuineness and authenticity rarely seen or heard in today’s music. The band members’ excitement toward the project, and one another, is palpable and contagious. All in all, it’s a natural, easy-going, and delightful fit. On their debut record and on stages across the southeast, The Kenney-Blackmon String Band stretches the boundaries of American music, mixing old time fiddle tunes and folk songs with fresh rhythms, modern lyricism, and virtuosic playing. It is music for everyone- the young and old, Americana, folk and bluegrass fans, and new listeners alike. Step into the forest of the singing tree, friends, where the creek runs warm and the weather is fine. Something is quietly astir in the Georgia pines. Traditional folk and bluegrass music at its finest compliments of some of Georgia’s most renowned players. Old, rare folk songs and fiddle tunes with dynamic arrangements alongside compelling new numbers and choice standards.